Solo gig with very good sound quality considering the CD was made from a 29 year old tape. Recorded solo benefit gig for Nottingham based pop magazine Liquorice that took place 29 October 1976. Contains two rare songs: Dead On Arrival and the original One For The Road. Also there's a nice booklet included. "With thanks to Tim Dickeson for the photographs and to Ian Barnett for his help with the lyrics." 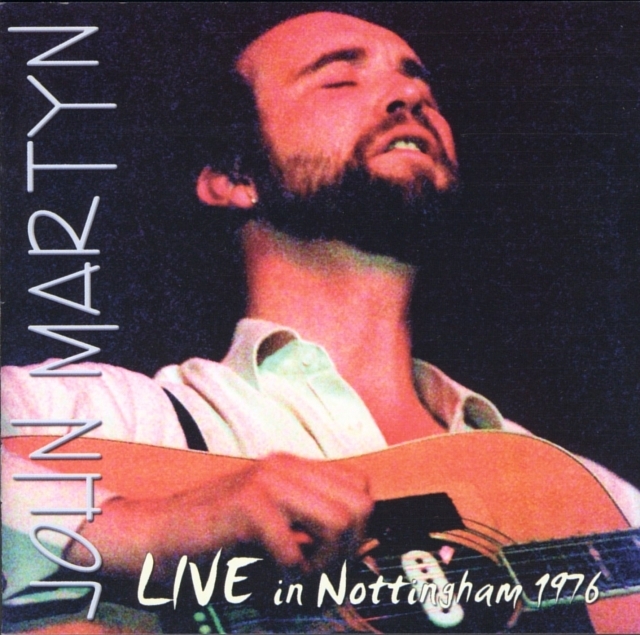 "Nottingham 76 was my first John Martyn show. I helped promote it and I may even have pressed the buttons that recorded it from the soundboard... The circulating [bootleg] version [before this official release] was far inferior to the original recording. Unfortunately, my second generation tape of most of John's set, along with all of Bridget St. John's (anyone have this?) has deteriorated (so much for the expensive Memorex chrome cassette I forked out for). The comments about the show being recorded on reel to reel are wrong, in my recall - but it was a long time ago." "Dead On Arrival is superb and the version of One For The Road, which he'd just written and introduced as 'my Val Doonican song' is far superior to the rewritten one on his last album [On The Cobbles]. With the electric One World and Black Man On Your Shoulder now available on the Deluxe edition of One World, we can finally hear official versions of the most important missing work from John's ouevre. Buy both." 03 Spencer The Rover 5:24 the next one's for me son." 12 Solid Air 7:19 aud: "Solid Air!" john: "I thought we had a bit of that, didn't we?"